February 18, 2017 - Growing together in Christ! The middle school and high school Sunday school class decided to meet for vespers this past Saturday at 4pm to enjoy evening prayers together. After vespers we all had a blast at Echo Lanes bowling alley. 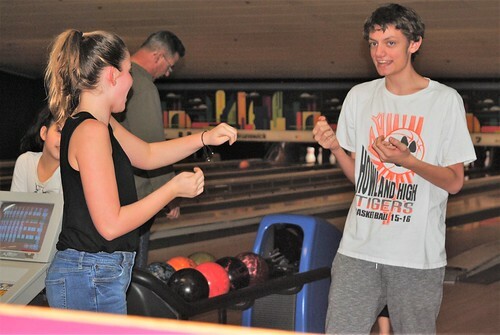 The middle school and high school Sunday school class had a blast at Echo Lanes bowling alley.